Most politicians, and their staffs, have sense enough to avoid the hamhanded treatment Gov. Nathan Deal gave WAGA Friday. It inevitably hurts the politician, not the news organization. It happened to Deal Friday. 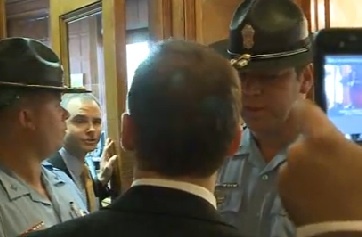 Deal’s communications director Brian Robinson ordered state troopers to banish WAGA from a high-profile news conference. 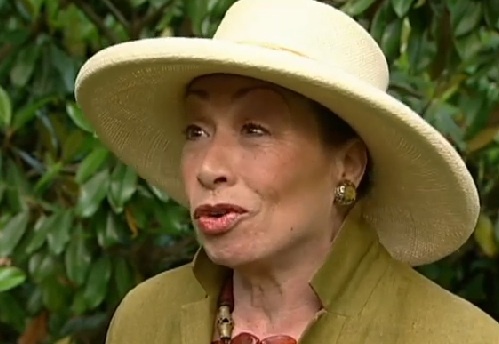 A day earlier,WAGA’s Dale Russell reported on campaign payments made to Deal’s daughter-in-law. Russell’s story was low-impact compared to pieces done about Deal during the campaign outlining numerous issues that raised questions about the candidate. Russell’s piece was a clean hit. It raised reasonable questions. Notably, Deal’s office declined comment — although the campaign’s chairman talked to Russell on camera. The significance or fairness of Russell’s story is irrelevant here. (In a conversation with me Friday, the only inaccuracy Robinson cited was Russell misidentifying Deal’s campaign chairman as “campaign manager.”) Robinson felt the piece was a smear. For the sake of argument, let’s say he’s right. Robinson is fiery and fiercely protective of his boss. Robinson was instrumental in helping Deal rise from the third tier of Republican gubernatorial hopefuls to capture the nomination, then beating former Governor Roy Barnes in November. Normally, he knows what he’s doing. He botched this one in a big way. Russell’s story was a mere blip on Friday’s political landscape until the moment Robinson decided to seek retribution on WAGA by banishing Justin Gray and photog Eric Len from Deal’s presser. It was the lead on WAGA’s noon newscast. Within minutes, it was on social media. At 2:54pm, it was on Peach Pundit. At 3:54, it was on Rodney Ho’s AJC blog. At 6:21, it was posted to WSB and WGCL’s sites,via a CNN writeup (partly written by ex-WAGA guy Gustavo Valdes, who’s seen in the video holding an iPhone saying “CNN coming through!”). "Clearly, it was not a good day for the Governor's office." Brenda Wood on WXIA, talking about WAGA and Deal. 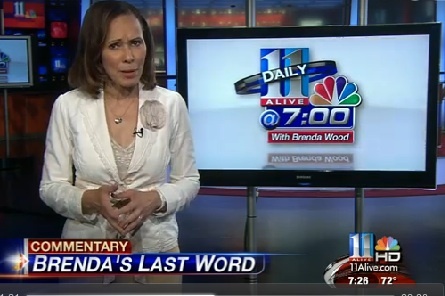 In its 7pm newscast, WXIA’s Brenda Wood delivered a commentary condemning the Governor’s reaction. “Talk about overstepping your boundaries,” she said. Each story made reference to Dale Russell’s original story, giving the report legs it would have probably never gotten otherwise. Russell’s original piece is embedded below. “What else am I supposed to do?” Robinson asked me during our phone conversation late Friday afternoon, though he wasn’t really interested in the answer. Robinson wanted to turn the conversation toward the finer points of his dispute with Russell’s story. But the rest of the media coverage never touched on that, and he knew that it wouldn’t. Instead, the other media gave a thumbnail sketch of Russell’s reporting, and focused on the the Governor’s office’s unusual reaction to a story most other media wouldn’t have otherwise followed. It’s worth noting that banishing WAGA from the news conference accomplished almost nothing. WAGA aired video from the news conference shot by WXIA, given to WAGA at the direction of news director Ellen Crooke. 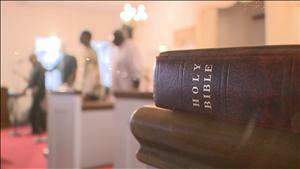 WGCL also offered WAGA a copy of its video. By the way, Deal was within his rights to be selective about whom to invite to his presser. It’s not a “public” event, like a legislative committee hearing. Politicians play favorites with the news media, but it’s usually subtle. Banishing a longstanding news organization from a news conference isn’t illegal. It’s just dumb. Here’s the answer to Robinson’s “what can I do” question: You gripe to the news organization that you feel wronged you. If the report was a malicious smear, hire a lawyer and sue the news organization. Otherwise, you keep it in perspective. You don’t get emotional. You take your lumps, as you’ve done in the past. If the report merely painted your guy a little unfavorably, you take extra care to not make it worse. Deal’s office should have done that Friday. This entry was posted in AJC, WAGA, WGCL, WSB, WXIA on May 16, 2011 by live apt fire. I read, with amazement, accounts of your encounter with baseball fans at San Francisco’s AT&T (or whatever they’re calling it these days) park last month. Mostly, you’re accused of uttering anti-gay slurs; you then capped it by suggesting that “kids don’t belong in the (bleeping) ballpark.” If even partially true, it was a tour de force of boneheadedness. You’re now serving a two-week suspension. 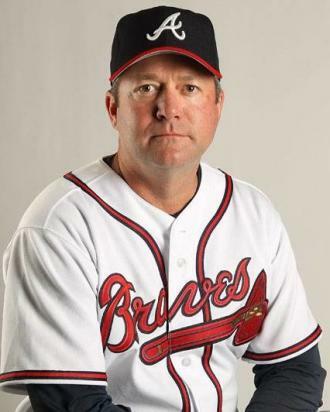 You kept your job, which suggests that the Atlanta Braves value you as a pitching coach. You and I have never met. I’d always heard you were one of the good guys — smart, talented, with an appealing streak of the crazy. Sounds like that last part went kinda haywire in SF. Let’s go out on a limb and assume you are worth redeeming. Here’s what you need to do. Most of it involves the news media. First, I have to make the following assumption: You want to fix this. You really don’t hate gays, or what we call the GLBTQ community. Or, if you did hate them, you now realize it’s not rational to do so. 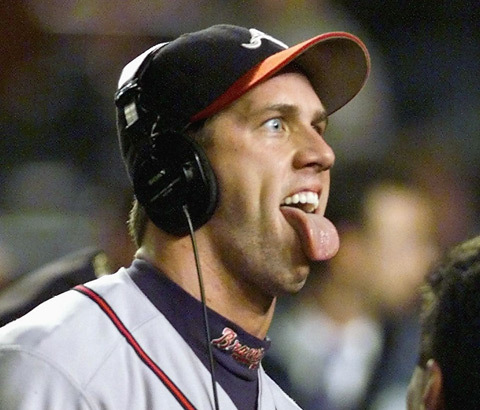 You don’t want to turn into John Rocker, who compounded his own bigotry by becoming an angry fool afterward. Although it made Rocker’s demise as a pitcher more entertaining to watch (and clearly inspired one of the best shows ever shown on television, Eastbound and Down), your intelligence presumably will guide you here. Don’t make this worse. Let’s make it better. Your suspension will end in a few days. The media will descend when you return to the clubhouse. You may be tempted to issue a statement and take a few questions from the beat writers and local TV folk in attendance. You’ll want to shut it down afterward, quickly. You can do better. On the day before you return to the clubhouse, ask the Braves PR folk to call a news conference in the 755 Club. Give the news media at least 24 hours advance notice, including media in San Francisco. This will allow everybody who wants to attend to plan accordingly. This will make your news conference a big deal. That’s OK. You want it to be a big deal, because you want to fix this problem in one 48-hour period. During the news conference: You’ll stand alone at a podium. If you have a statement, make it. Your statement will conclude with: After this news conference, I’m not going to talk about this anymore. Then you’ll take questions. You’ll take them exhaustively. You’ll answer questions that are redundant. You’ll answer questions that you may think are disrespectful or judgmental. You’ll answer questions that may seem designed to embarrass you. You’ll treat all the questions and questioners respectfully, and you’ll answer every question thoughtfully. It will take a while– an hour, maybe longer. Your goal: Outlast the press corps. Answer questions until there are no more questions. It’ll happen. The press will want to file their stories, and they’ll realize every question has been asked and answered. 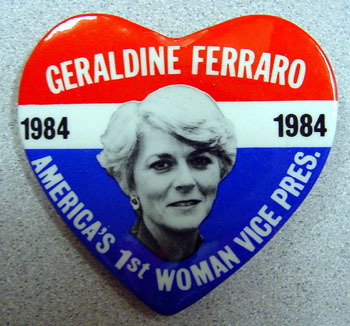 Your template is Geraldine Ferraro, the Democrats’ vice presidential nominee in 1984. During that campaign, questions arose about the finances of her husband John Zaccaro. Ferraro called a news conference, answered questions until the questions were exhausted, and was the last person to leave the room. She got lots of credit for doing so. The issue mostly went away, and Ferraro was free to get on with her job. The same will happen to you. Two other suggestions, to make your contrition complete. The day before your news conference, grant an exclusive interview to the Georgia Voice, Atlanta’s gay newspaper. It’ll demonstrate the seriousness of your intent to make reparations with Atlanta’s gay community. It won’t get a large audience but it will win you respect, in both Atlanta and San Francisco. In October, plan to march in Atlanta’s Pride parade. I’m serious. I know you’ve got it in you. It’ll be fun. There’s only one thing the GLBTQ community loves more than open-minded, gay-friendly folk: Former haters who have seen the light. That will be you, my friend. You may follow this course. You needn’t thank me for the advice. Or, you may follow the Rocker course, and decide you don’t care what people think. You may utter a halfhearted statement of apology, depart abruptly, and let the ugly whiff of bigotry linger on you forever. I’m sure Rocker would enjoy having some company in whatever purgatory it is in which he dwells. This entry was posted in LAF on May 7, 2011 by live apt fire. When I produced a sometimes-amusing feature segment in the late 90s, it was frequently derailed by inconvenient breaking news. When a madman decides to commit mass murder in Buckhead, nobody wants to hear about the guy who made jewelry out of Viagra. When tornadoes ravage nearby communities, no producer wants to include a segment in her newscast about cows sleeping on waterbeds in Tifton. When the US has a foreign policy event that is the talk of the world, nobody wants to see the story about the pig guzzling Pepsi-Cola in Jesup. Instead of pulling something from today’s headlines, I’m delighted to inflict upon you the above video, shot in late April while Steve Flood and I visited Vidalia for a story about agricultural workers and immigration and the awesome Vidalia onion. While Flood had a field day (yes!) with the video, I tried to roughly assemble the story’s framework in my brain. Such assembly is necessary in order to execute a standup that actually enhances the storytelling. This isn’t as easy as it sounds. I discard about one in ten standups I perform (as I do blog posts) because they don’t fit or I just don’t like them upon review. Standups can also be done to fulfill promotional or formatting needs. The standup close is often helpful when a deadline is tight — it helps conclude the story quickly in editing. But enough about that. The above video is about technique. As I pondered a standup for my onion / immigration story, this Suspicious Package piece burst into my head instead. It’s the first one I’ve produced spontaneously, without a script. Flood graciously shot it. In so doing, I also managed to execute a standup (“the network standup”) for our onion field story. 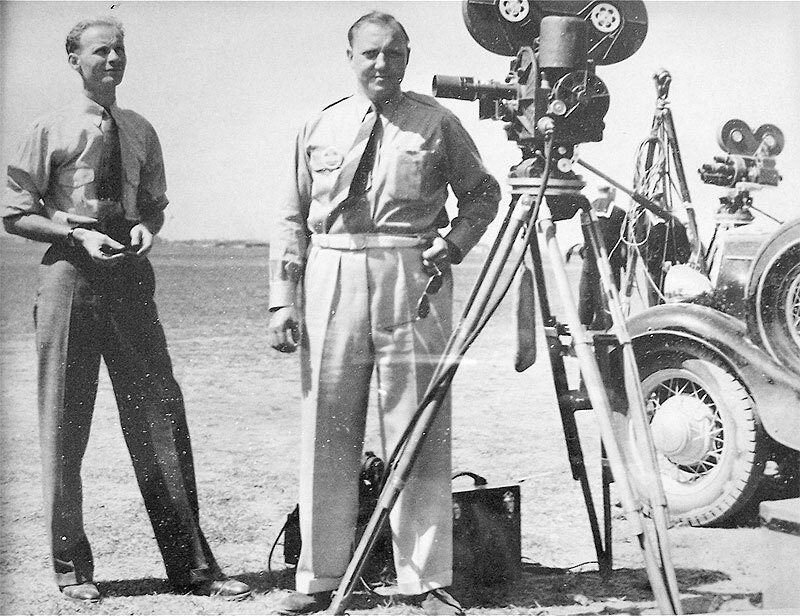 The photo was lifted from Feeding the Beast, a cool blog about old-old school motion-picture newsgathering. This entry was posted in suspicious package, WXIA on May 4, 2011 by live apt fire.